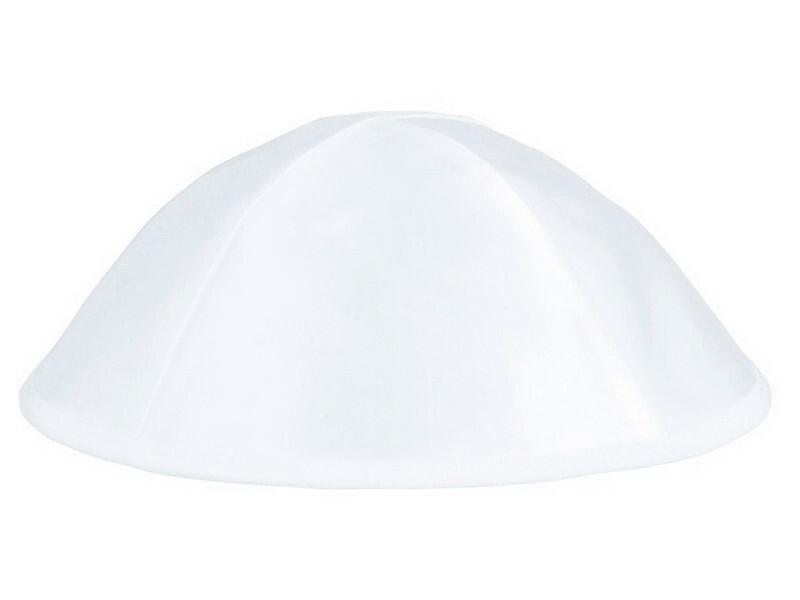 This classic four section white glossy satin kippah is popular and stylish. The kippah can be worn in conjunction with synagogue services or any other Jewish function or ceremonies as well as every day wear. This kippah includes a satin rim around the bottom of the kippah.